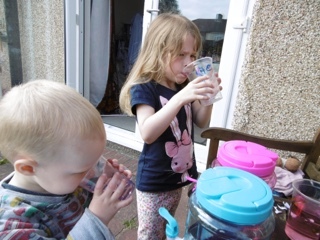 I've always prided myself on the fact that my babies drink lots of water each day, they have squash but both much prefer drinking just plain water (although cub is moving towards wanting more saturated drinks). 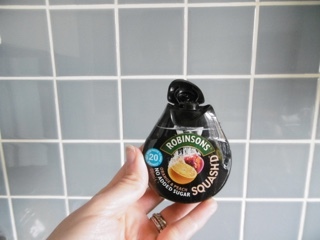 So when we got the chance to try out the Robinsons Squash'd drink and help their #EnjoyMoreWater campaign I thought I had it sorted. Except when we started the lovely chart we were provided with, I quickly realised that my kids might not be hitting their targets. So I started checking my figures and I was one of the 64% who didn't really know how much water they should be drinking. 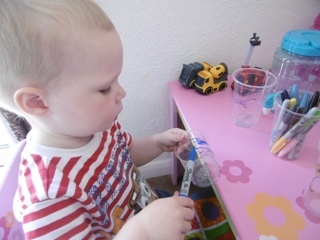 How much water should a toddler drink daily? Well a toddler needs just over one litre a day of fluid (this includes milk) and bubba should be on about 6 / 8 glasses of water a day. She gets close to this target on a weekend but interestingly during the week she didn't get as close, what with school and being busy after school the water got forgotten. 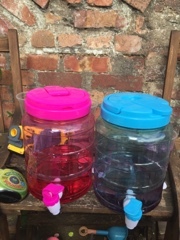 So for our challenge we decided to set up a hydration station in the garden, I got these nifty water dispensers with the idea that we could have different flavours. But the kids argued and I changed my mind and we put the same in each dispenser. I also let them squeeze the squash in themselves which added another dimension for them both and at times I had to almost wrestle the little bottle off them! 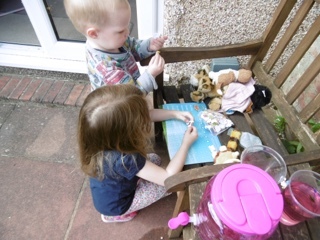 They would run off around the garden (they like to do laps up the little hill and back down again, sometimes I join in other times I watch) but the dispensers were a great visual stimulant for them both and I found they both came over at different times to fill up and drink water. 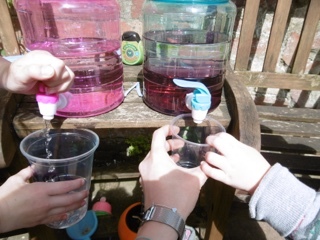 As we mainly spend most of our time in the garden after school and at weekends, it really helped having the water bottles outside and accessible for both kids. 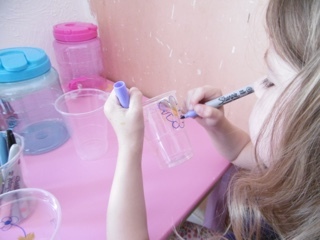 We also spent time one evening after school decorating our own plastic cups to use at our hydration station and it was great fun and both the kids got involved, they also only wanted to use their own cups. We made a little video over a couple of days to show how we made sure we stayed hydrated in the sun. I'm also going to take the squash'd out and about in the summer holidays as a treat and also when we go on holiday in Bath. 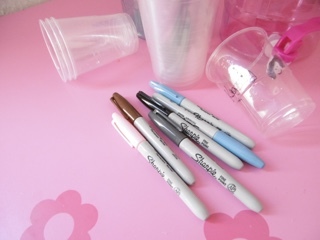 Hubby drinks lots of squash and until now we've always lugged a large bottle around with us but not any more as these great little bottles take up almost no room but still provide you up to 20 drinks. 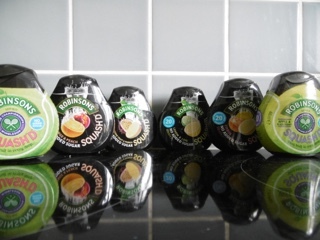 We were supplied with some Squash'd to try alongside our challenge - this challenge in association with Brit Mums and Robinsons. 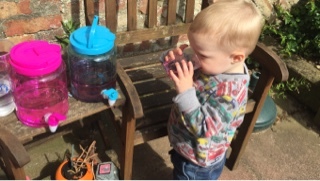 This post is an entry for BritMums #EnjoyMoreWater challenge, sponsored by Robinsons.